UK residents and organisations who hold .eu domain names beware – the European Commission announced that .eu domain names may no longer be available in the UK post-Brexit (subject to any transitional arrangements). Up to 300,000 domains may potentially be affected. Legally, only EU organisations and residents are eligible to register .eu domain names. All domain names that are held by parties that do not meet this criteria can be revoked. That, according to the European Commission, makes all of the UK organisations and residents ineligible after brexit. Their notice has been met with a lot of criticism. This could be a reason for the EU to reconsider its current strict stance. There is still a chance that the EU and UK may agree on a different arrangement for .eu domains, however the latest draft of the withdrawal agreement says nothing about it. If no arrangement is made, then the European Commission announcement will come into effect on 30th March 2019. The General Data Protection Regulation is coming into effect next month and it will change the current system for protecting the personal data of EU citizens. Following that, the WHOIS database will be limited – which concerns anti-piracy groups. The main goal of GDPR is to protect EU citizens from online abuse and breaches of privacy. It applies to all companies processing their EU subjects data, no matter where the company is located. There are severe penalties for non-compliance – from 4% of annual global turnover to 20 million euros; whichever is greater. That makes it a serious matter. It will greatly affect domain name registries and registrars who publish the personal details of domain owners in the WHOIS database, which is public – with a full entry listing an organisation’s name, address, telephone number and email addresses. The issue that arises here is that registries and registrars are obliged to publish data in the WHOIS database by ICANN (global domain name authority). ICANN has been trying to resolve the clash – but since they only determined it would affect them in October 2017 – they have been rushing to find a solution since then. They have proposed a model of GDPR compliance which makes registrars continue collecting WHOIS data in full, but not publishing it to the public. This raises a concern – it will have a serious effect on the ability to protect intellectual property rights from “cybercriminals”. Groups like Copyright Alliance, MPAA (Motion Picture Association of America), IFPI (International Federation of the Phonographic Industry), RIAA (Recording Industry Association of America) and dozen of others – sent a letter to the Vice President of the European Commission warning that restricting their access to WHOIS will affect their ability to protect their rights. The EFF, on the other hand, says that being able to contact a domain owner wouldn’t necessarily require an email address to be made public: “There are other cases in which it makes sense to allow members of the public to contact the owner of a domain, without having to obtain a court order, but this could be achieved very simply if ICANN were simply to provide something like a CAPTCHA-protected contact form, which would deliver [an] email to the appropriate contact point with no need to reveal the registrant’s actual email address”. What do you think about the GDPR and WHOIS confusion? Is it going to help us retain our privacy, or help grow cybercrime? Let us know in the comments below. March 2018, United Kingdom – Easy Internet Solutions T/A Free Virtual Servers announces the acquisition of CloudMega Limited. The CloudMega story began nearly 16 years ago, when company co-founder Ian Andrusyk registered the domain name to provide web hosting services. It specialised in enterprise level cloud hosting services, ideal for small-mid sized businesses, and scalable to enterprise level solutions. We are happy to welcome the CloudMega customers into the Free Virtual Servers family. We hope you enjoy your stay! Exciting times ahead, Free Virtual Servers rebrand! 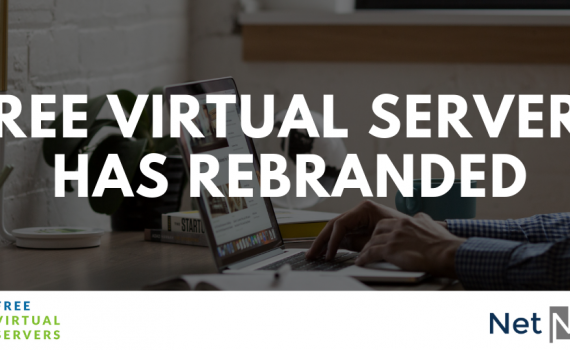 We are also excited to announce that Free Virtual Servers is undergoing a total rebrand. Our new brand will be called NetNerd, and it is designed to be an easier, and overall smoother experience for our customers. User friendly, easy to use and full of educational information – we hope it will pave a new way into the future. What do you think of the new brand name? Do you like it? Let us know in the comments. While technological advancements have opened doors for businesses around the world, there is also a significant downside we sometimes forget: creating dependency. To exemplify, email is a critical business tool used by corporations around the world and without access to this useful means of communication, productivity and revenue can be negatively influenced. Bearing this in mind, finding the adequate business email management tool to oversee emails is imperative, as numerous dangers can cause significant headaches – from system downtime and malicious data leaks, to compliance fines and infected computers. 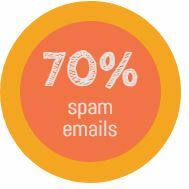 With over 70% of all emails incorporating actual spam and ads and with spam reports on the rise, finding the best email filtering service to block this from happening is a top priority. Additionally, if you don’t have a filtering service, you are potentially open to targeted attacks. Moreover, even if you make a new email account, this will still not guarantee that you’re safe from threats and spam. So, to help you in your endeavors and guarantee the integrity of your email account, this article will discuss the different types of threats and how they can be stopped. Whether you’re looking for the best spam filter for email clients like Outlook, Opera Mail, Mozilla Thunderbird, Mailbird Lite we have selected a few enhanced email security services that are bound to give you peace of mind. 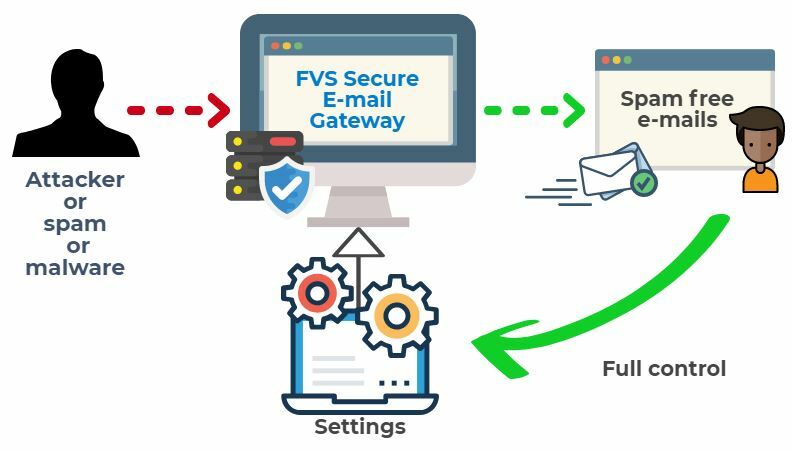 If you are looking to block email threats, protect your email address and sensitive information, or merely finding a service to generally block junk email, the FVS Email security maintenance service can efficiently detect suspicious word patterns. The service offered by freevirtualservers.com comprises of seven encryption standards, including TLS, S/MIME, Secure Mail Encryption, OpenPGP, Voltage and PGP Universal. The combination of these techniques is meant to ensure that messages can be delivered and received securely – in fact, without any end-user action. Relying on leading global firms such as SpamExperts, you will be able to benefit for more than 99% spam-less accounts and email protection technologies. Featuring secure computing services, the FVS Email Gateway can offer you real-time analysis on more than 1/3 of all the globe’s traffic. This quick and competent email solution can protect your account from over 99% of all malware. An alternative to FVS Email Gateway is Proofpoint, an email protection service designed to detect both non-malware and malware threats. To better put things into perspective, we are discussing BECs, otherwise known as impostor emails, which take the shape of business correspondence. Behind the service, there is the cloud-based email security, or the option to deploy the security measures on the premises of your business. It provides granular filtering to control bulk “graymail,” along with any other spam emails which may hinder the overall performance capabilities of your business. Moreover, Proofpoint can keep email communications flowing between enterprises, regardless of whether the email server fails or not. 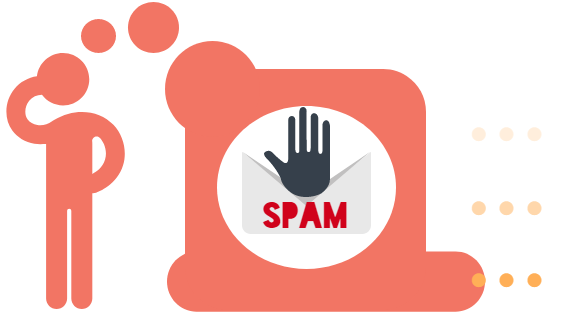 Should you be seeking an email spam filtering service capable of protecting both you and other users from cyber-attacks, Symantec might be a great place to start. Capable of delivering accurate email security that is reliable and tailored to your individual needs, this company prides itself on efficiently protecting users from targeted attacks. The service makes use of self-learning capabilities, with the system designed to focus on email security. Supporting Microsoft Office 365, Google Apps and other Microsoft services, Symantec is an accurate and dynamic way to prevent the loss of sensitive data. Cisco Email Security is designed to protect businesses from spoofing, ransomware, email compromise and even phishing. In fact, by using a multilayered approach and advanced threat intelligence software, Cisco is a valuable service to use when concerned about both inbound and outbound data loses. According to recent reports released by eWeek, approximately 2 to 4% of all emails contain malware issues, a false positive, or spam messages. To better put things into perspective, this means that a staggering 6 million viruses are sent out every single day. 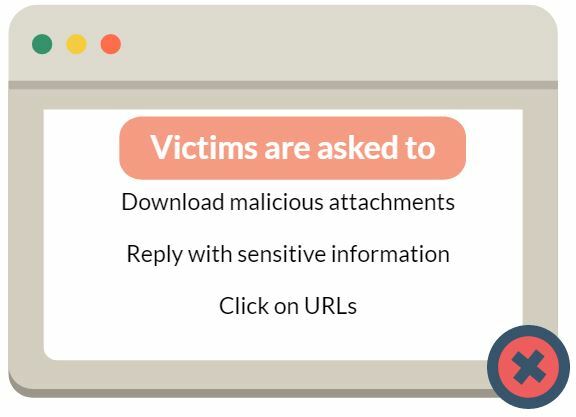 One common malware problem encountered around the globe is ransomware – a type of virus that limits access to your computer, including files, videos and pictures. In turn, you may see that a pop-out will demand payment for the release of certain documents. The concept of phishing involves using psychological manipulation for making users divulge sensitive information, which can then be sold for malicious and criminal activities. A phishing attack can be typically identified by an authentic-looking email which reports that you need to change passwords to keep your computer safe. 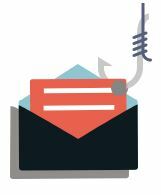 Other phishing techniques involve infected attachments (i.e., a bt phishing email, a fake iTunes email), or links which can procure your personal data. This may remind you of a scandal involving Apple users from a while back, where Apple fraud email and Apple ID email scam issues were all over the news. By using particular words or a fake Apple invoice email, cybercriminals gained access to the network and stole a plethora of information from unsuspecting users of the service. Having a secure email or password doesn’t seem to suffice these days. While email encryption adds an additional layer of security, cybercriminals can often insert themselves between the user and the application, service, or even a web link, which the victim is using. By using this process, your account is merely an email host through which the attacker can impersonate you – reading emails, responding as you would and stealing sensitive information concerning transactions. Needless to say, without a proper email migration and email filtering service set in place, a spam message, a junk email, or even accidental data leaks can quickly occur. In some cases, this can cause irreparable damage to your business. 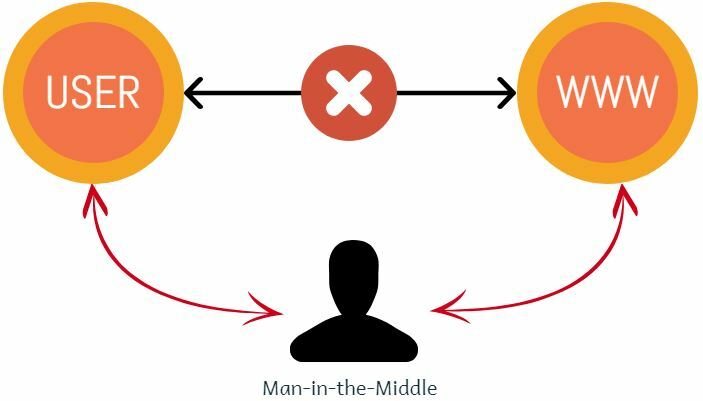 Similar to other malicious threats, man-in-the-middle attacks have a high spam capture rate and have been around for many years. While an unwanted email is easy to avoid, this type of sneaky malware doesn’t require expensive hacking tools, making it widely available for criminals around the world. 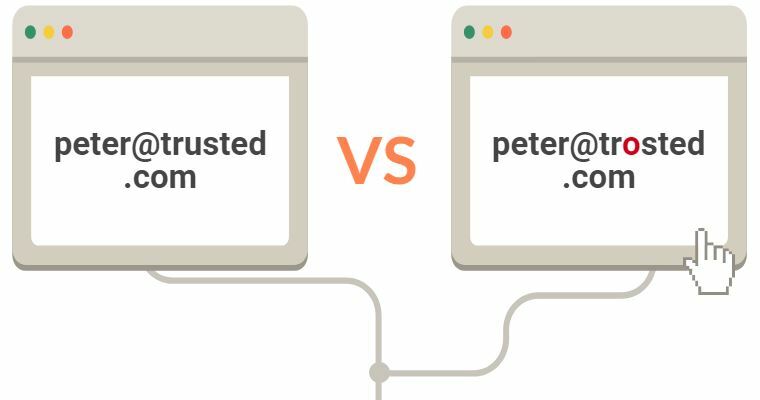 Due to the fact that email protocols don’t use adequate mechanisms and techniques for detecting and regulating email addresses, hackers can more efficiently use domains and create fake addresses. Moreover, these are so similar to the legitimate email that it’s hard to identify them with the naked eye. The result of spoofing is deceiving victims into believing that the emails received are from trusted individuals they deal with on a daily basis. Some even go one step further, spoofing business mailboxes for a similar-looking, fake one (i.e., jbloggs@abccompany vs. jbloggs@abcompany). Thus, you must always check recipient to make sure that you’re emailing the right person. According to the SANS Institute, a staggering 95% of all data breaches have one thing in common: spear phishing. Despite enterprises around the world embracing anti-virus and spam-free services, it still appears that a large number of malware avoid detection from regular spam filters an individual or a firm might set in place. When it comes to learning more about spear phishing, it’s essential to note that merely a tiny percentage of individuals are targeted. Moreover, a considerable amount of research and effort actually goes into making all emails genuine and legitimate-looking. But what makes them able to continue down this path is taking advantage of zero-day vulnerabilities, which are not typically detectable using conventional anti-malware tools. To avoid becoming a victim, an intuitive way is to add security layers – creating a multi-scanning device designed to increase protection against both known and unknown threats. The answer to the question “How to stop spam emails?” might not appear as simple as it once were. Although these days a big selection of security systems can detect threats to your data and safety, not all of them are created equal. Today’s advanced email threats have changed, adapting to our ever-evolving technologies and designing advanced email threats that are mainly intended to fool legacy sandboxes, SEGs and other conventional security systems. In the process of detecting and preventing your personal and work computer from malicious emails, people and organizations must augment their security measures, deploying services capable of performing and delivering accurate, thorough content inspections. By performing these steps, you will be able to understand the full context of a situation or malware threat, while enabling security analysts to make informed and precise decisions for the sake of your company. Lastly, more than anything, make sure you have a secure email gateway. Yes, 100% free, you will not be charged for these registrations at all for the initial 2 year period. After that, standard .uk rates apply, which are the same as .co.uk. 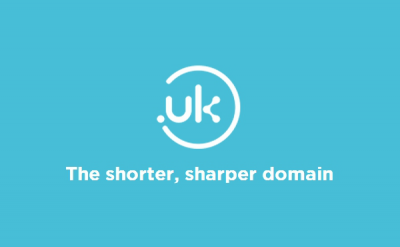 Whilst we’ve helped several thousand domain owners claim their domains so far, we envisage a situation in 2019 whereby anyone will be able to register the .uk version of a domain for which you are the .co.uk or .org.uk owner. After calling approximately 300 customers by phone to gauge what the preferred course of action is, over 99% wanted the domains registered for them immediately. We’re confident that this applies to the rest of our client base, which is why we’re taking the step of claiming them automatically for you. As an example of the consequence of not claiming your domain, imagine you own, for example, londontaxicompany.co.uk, and you haven’t claimed your .uk domain by 10th June 2019. On June 11th, your competitor can now register and use londontaxicompany.uk, undermining your .co.uk based website. It’s potentially very bad news. Do I have to do anything? How do I opt out? If you’re happy to have them registered for free and added to your account, then do nothing. If you don’t want your free domains, then simply open a ticket through the client area before September 8th, stating which domains you don’t want to claim. When will they be registered? We will be registering the domains from September 11th onwards, until October 31st. You will receive a registration confirmation for each domain we register on your behalf, and it’ll appear live in your account instantly, as with any other domain. Can I transfer domains to you I own elsewhere and then claim the free .uk equivalent? Yes. 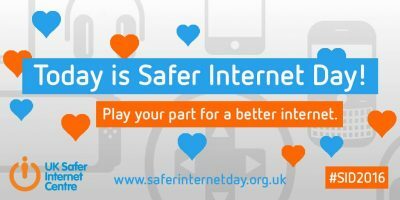 Just submit a domain transfer for your qualifying .co.uk/.org.uk/.me.uk domain in the normal manner at https://my.freevirtualservers.com/cart.php?a=add&domain=transfer , transfer it to us by changing the IPS tag at the current registrar to EASY-INTERNET. Within 4 hours it’ll show as active in the client area and you can then claim the free .uk version through the client area claim interface. The first 2 years are free, and there’s no obligation to renew, though we expect most will. In an ideal world, .uk wouldn’t exist, but it does, and business owners in particular need to protect their brand names. Auto renew will be enabled by default on these domains. If you have any further questions, please open a ticket from the client area at https://my.freevirtualservers.com/clientarea.php. Last year saw a huge surge in the amount of cyber security attacks. High profile data breaches such as the ones suffered by Target and Neiman Marcus’ Computer Systems saw their systems compromised and their business reputation suffered as a result. Security breaches can be very costly and devastating, so should you be worried about the security of your websites and online accounts? If you hold any kind of database or customer data, you need to take steps to ensure that your systems are secure. We are delighted to announce the addition of “Let’s Encrypt”, which provides you with the ability to instantly issue trusted SSL certificates for all your hosted domains absolutely FREE!